Within Buddhism dhamma study and discussion has long been regarded as essential for developing right view. 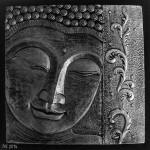 In the Buddha’s time, the dhamma would have been recited by someone well versed in theory and practice. Nowadays you’re more likely to read the dhamma or listen to recordings, and if you’re living in a country where Buddhism isn’t widely practiced you may be unable to receive direct instruction from a personal teacher. Unfortunately, studying and meditating alone is unlikely to overcome the mind’s natural habit of bias confirmation. If you wish to explore Buddhism without developing a distorted viewpoint it’s important that you refrain from cherry picking the dhamma and you make the effort to check your learning through discussion with fellow travellers on The Path. I therefore recommend joining an active internet forum like Buddhism & Meditation and Buddhism Q&A on Google Plus, or Sangha at Yahoo Groups. These online communities aren’t affiliated to any particular Buddhist tradition; they are open to everyone and normally well moderated. They are easily joined if you log in with your social media ID. Do please read and abide by the community guidelines when posting or commenting. 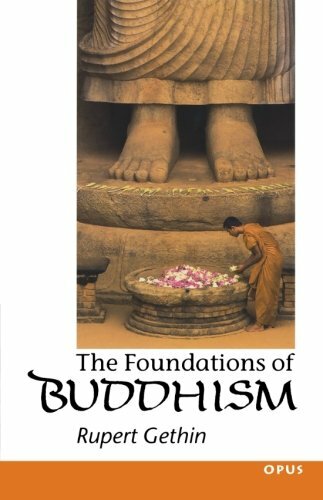 The Foundations of Buddhism by Rupert Gethin. Oxford University Press, 1998. As the blurb says, “Rupert Gethin investigates the common threads connecting diverse traditions of Buddhist thought and practice.” Like most Buddhist scholars, Gethin extracts the “facts” of the Buddha’s life from ancient Buddhist scriptures and presents them as “historically unproblematic and inconsequential”, although he does at least admit that “the historian… has virtually no strictly historical criteria for distinguishing between history and myth” in these doctrinal accounts of Siddhatta Gotama. Nevertheless, Gethin does a fine job in explaining the development and spread of Buddhism and the cosmological and soteriological doctrines (the four ‘Noble Truths’, karma and rebirth, ethics, etc.) common to all the main Buddhist schools. He provides a firm enough foundation for deeper exploration of the Buddhist religion. 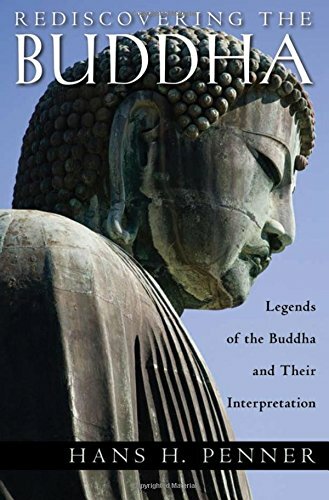 Rediscovering The Buddha: Legends Of The Buddha & Their Interpretation by Hans H. Penner. Oxford University Press, 2009. Hans H. Penner delivers a wakeup call for anyone who still believes that the legends of the Buddha must have some historical factual basis. 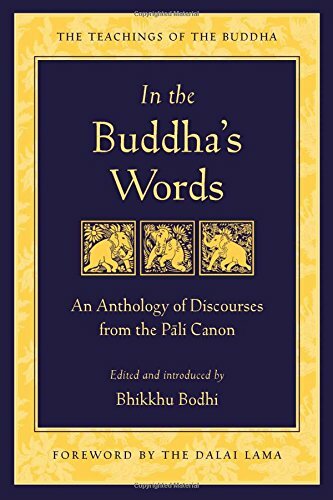 In Part One, Penner draws upon the Pali literature to provide a much longer and fuller biography of Siddhatta Gotama than the bog standard version we usually get from commentators; it begins with a cosmology and ends with the prediction of Metteyya, the Buddha yet to come. In Part Two, Penner provides an analysis and an interpretation of the legends in the context of modern scholarship on the subject. You soon come to realise that they all have a narrative structure that is fundamentally mythological, not historical. When you understand that you are less likely to view these ancient doctrines as “popular Buddhism” – degeneration from reason (philosophy) to religion (mythology). 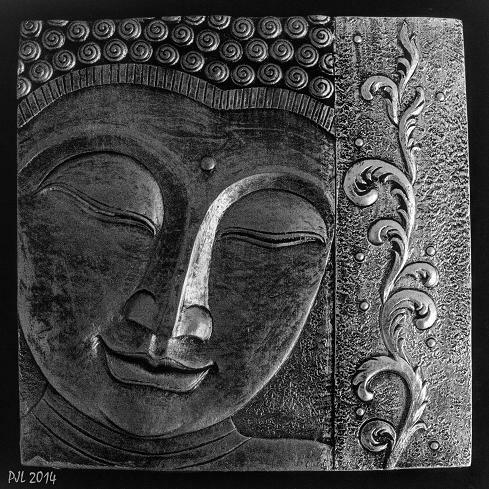 An Introduction to Buddhist Ethics by Peter Harvey. Cambridge University Press, 2000. 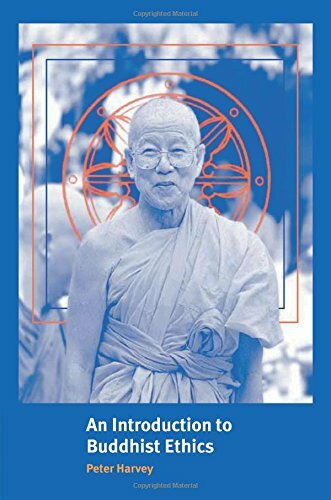 A very useful book for an understanding of where Buddhists are likely to stand on a range of contemporary issues such abortion, suicide, warfare, economics, environmentalism, sexuality, etc. Also discusses ethics in relation to traditional Buddhist teachings on karma and rebirth, the four noble truths, the five precepts or training rules and the criteria for differentiating good and bad actions, for example. Harvey arrives at his conclusions by drawing on the texts of the main Buddhist traditions and by referring to historical and contemporary examples of actual behaviour and attitudes within Buddhism. Recommended as food for further contemplation rather than a source of ready-made Buddhist answers to perennial ethical dilemmas. 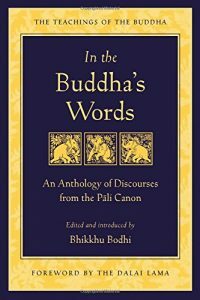 In the Buddha’s Words: An Anthology of Discourses from the Pali Canon edited and introduced by Bhikkhu Bodhi. Foreword by the Dalai Lama. Wisdom Publications, 2005. “Meditation: A Dhamma Talk” by Ajhan Chah. “The Experience of Being: A Guided Meditation” by Paul Lockey.